Apple stepped up their ebook game with a couple new policy changes that will help make it easier for authors and publishers to promote their ebooks. The gadget maker sent out an email last week to everyone registered with iBooks and announced some changes and enhancements to the program. To help you get your book to readers quickly, we review 95 percent of all book submissions within one business day. Note that you do not need an ISBN to deliver a book to iBooks. You can now request up to 250 promo codes per book. Promo codes allow you to provide free copies of your book to reviewers, bloggers, or others to build momentum for your book. 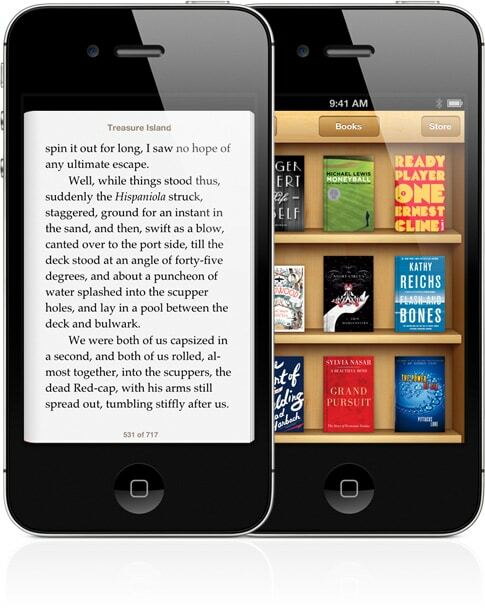 Screenshots can now be delivered or updated after a book is available for sale on iBooks. Apple is known for a byzantine approval process where it can take a week or more for an ebook to be approved by Apple's reviewers, with no explanation for the delay, so I am sure that this change will be deeply appreciated by authors and publishers. And since Apple is either the second or third largest ebook retailer, the promo codes will also prove to have great value as well. Now if only they would allow me to upload via my non-apple device (without loading virtual this and that.) The one author I know who has uploaded direct does not speak highly of the process. But as soon as I get around to buying an apple device, I’ll give it a shot. Ooh, but we’d be mad at you afterwards when we found out it was a joke! It’s difficult enough managing all the sales channels and figuring out the ins/outs/promos/benefits/coupons. I sold more on Apple when I went through Smashwords than I do going through All Romance (my stuff only has romance as a sub-genre so the romance factor isn’t the main selling point). There are other distributors who will upload it, but then when you want to put a book on sale, you have no control over the price. To be effective there, I think you have to go direct. But that means investing several hundred dollars on a machine/iPad. That’s a tough compromise. And now I won’t believe a single post you post on April 1…just to be on the safe side! Let’s hope another change is in the works too. The latest versions of InDesign makes it remarkably easy to create a fixed-format epub for the iBookstore that looks virtually identical to its print counterpart. That’ll make almost any ebook look better and it absolutely marvelous for textbooks, travel books, cookbooks and others where controlling page layout is important. It’s also extremely troublesome and costly to do a fixed-format book for Amazon’s proprietary KF8 format, so that’s one major advantage Apple has over Amazon. But currently, the iBookstore doesn’t have a way to sell both a fixed-format epub and a reflowable version as the same purchase. Someone who gets the first for their iPad is forced to buy it yet again to get a version that’s readable on their iPhone. That’t not good for anyone. One purchase should get them both versions. I still think their site looks like something from my Atari screen.